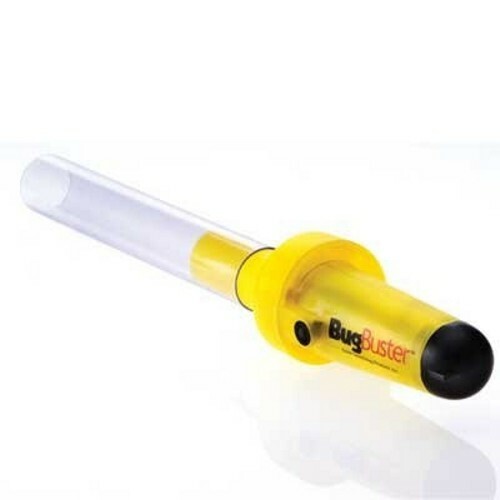 Ideal for trapping and removing spiders and other unwanted guests, the BugBusterTM vacuums up crawling or flying insects at a safe distance and allows you to release or dispose of them elsewhere. No mess or splatters. No sprays or toxic chemicals. No contact with biting or sting insects. The clear plastic tube makes it great for kids' science products or for identifying unknown insects. Includes a cap to prevent escape. Operates on one 9V battery (not included).